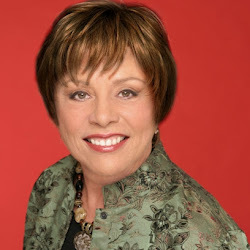 Suzy Prudden, aka “The Mind Mentor,” shared exciting news with Get Shot By Ella about an ongoing event that commenced on Monday September 3, 2012. At the show’s launch, Susie had several enlightening guests booked. “My first guest on September 3, 2012 was Aggie Kobrin of www.crowdfundinglive.com , who talked about the benefits of crowd funding and how you can get your projects funded. On September 10th 2012, I interviewed Michelle Patterson of The California Women’s Conference held at the Long Beach Convention Center in Long Beach, CA September 23rd and 24th 2012. This was a very exciting event which has seen as many as 30,000 in attendance. I was a speaker at the Conference on Monday the 24th 2012. For info about the conference, go to www.californiawomensconference.com . Mark Hoover was scheduled for September 17th 2012. He is a master business builder coach and shared a great deal of information on how to structure and build your business to get and maintain clients. Basically, put your business on steroids. He’s the best!” said Suzy. “My intention, with the show, is to bring on guests with great information to help and inspire you in all areas of your life,” she revealed. Suzy’s listeners participate in the show by emailing questions and ideas and can listen from anywhere in the world. Those who miss the actual live show can download it later off the website and listen at leisure.